Yesterday at the Bolt fabric sale I picked up some of this red wool from Liz Claiborne, as well as this Winter Thistle print from Liberty. 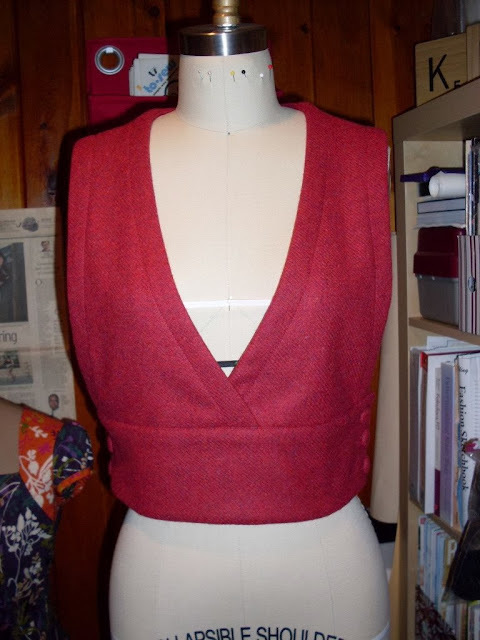 I only got a yard of the wool, which was perfect for this cropped vest that I've been wanting to make since the summer. 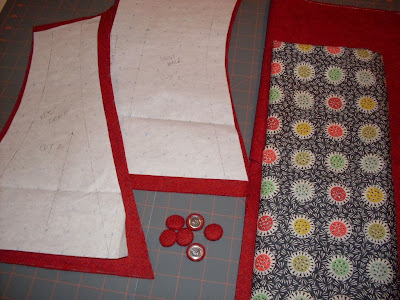 The vest pattern is from the Homspun Japanese pattern book. 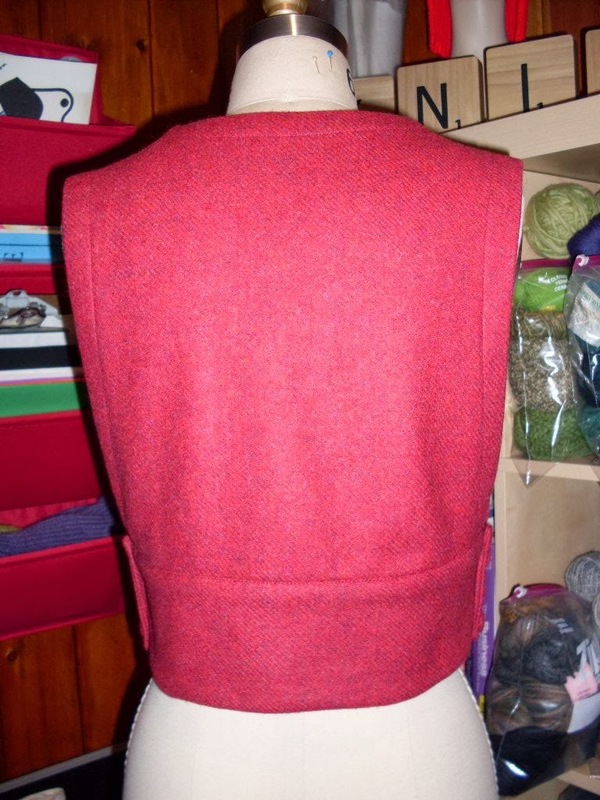 It's meant for a lighter weight fabric, but I thought it would be fun to sew up in wool for wintertime. 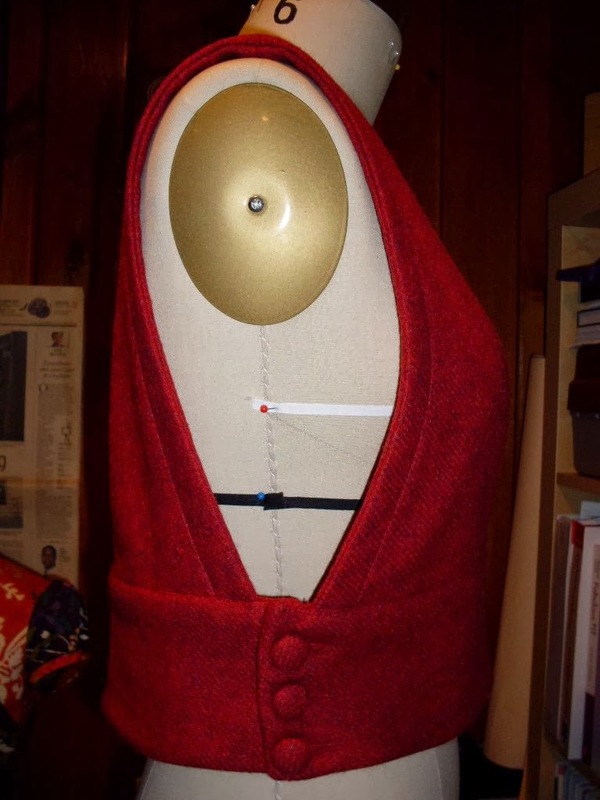 It's a great layering piece and I love the fabric covered buttons! This whole project turned out really nicely!